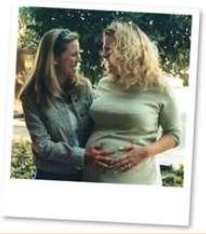 Surrogate mothering involves one woman bearing a child on behalf of another woman. The former woman is called the “surrogate mother,” or just “surrogate” for short. I will call the latter woman the “wife.” It is of course not necessary for the latter woman actually to be married, but it’s useful to have a term ready to hand to help us distinguish between the two women involved. Why would a surrogate perform this kind of labor (pun intended)? Typically because the wife is incapable of performing it herself, either because she is infertile or because pregnancy would pose an unacceptable risk to her health. We can distinguish between non-commercial and commercial surrogate mothering. In the latter kind of case, the surrogate gets paid for her services. It is on this kind of case that we will be focusing. In what might be called a “traditional” case of surrogate mothering, the surrogate is artificially inseminated with the father’s (“husband’s”) sperm, conceives, and then carries the baby to term, thus playing both a germinal role (inasmuch as she supplies the egg that gets fertilized) and a gestational role (inasmuch as she supplies the womb in which the fetus develops). It is of course possible for a woman to play just one of these roles. Someone who plays simply a germinal role (i.e., someone who is simply an egg-donor) is not normally called a surrogate mother, but someone who simply plays a gestational role is indeed typically called a surrogate mother, if she performs this task on behalf of another woman who will eventually take care of the baby after birth. And although I have called the case where the surrogate plays both roles “traditional,” the kind of case in which she plays only a gestational role is becoming increasingly common, given the rise in use of in vitro fertilization. You might wonder why anyone would have any ethical qualms about commercial surrogate mothering. After all, it would seem that everyone involved in this kind of arrangement comes out a winner. The couple “win” the child that they have been longing for; the surrogate “wins” payment for her welcome services; and the child that is created “wins” life. So what could the problem be? The fact is, however, that many people object strenuously to commercial surrogate mothering. Anderson is perhaps foremost among these critics. Let’s take a look at what it is that concerns her and try to figure out whether her concerns are merited. Arg. 1: (1) Selling a child treats the child merely as a means to an end. (2) Commercial surrogate mothering involves selling a child. (3) It is seriously prima facie morally wrong to treat anyone merely as a means to an end. ∴ (4) Commercial surrogate mothering is seriously prima facie morally wrong. Arg. 2: (1) Commercial surrogate mothering threatens the security of all children. (2) It is seriously prima facie morally wrong to threaten a child’s security. ∴ (3) Commercial surrogate mothering is seriously prima facie morally wrong. Arg. 3: (1) Commercial surrogate mothering treats the surrogate merely as a means to an end. (2) It is seriously prima facie morally wrong to treat anyone merely as a means to an end. Arg. 4: (1) Commercial surrogate mothering is a practice that involves the degradation and exploitation of both women and children. (2) There is good reason for the state to prohibit such a practice. ∴ (3) There is good reason for the state to prohibit commercial surrogate mothering. I think it would be best to consider Anderson’s arguments against commercial surrogacy in reverse order. There is reason to question premise (2) of Arg. 4. Remember, from our discussion of prostitution, that there would seem to be good reason for the law to permit people to behave in ways that might be harmful to themselves, as long as they have made an autonomous decision to engage in such behavior. Thus, even if the surrogate is degraded and/or exploited by the arrangement into which she enters, this would seem to be a private matter, one that the state has no business poking its nose into. (On this issue, see what Arneson has to say on p. 528, left column and p. 529, right column and also what Wertheimer has to say in the last paragraph of his article. And take note, by the way, that Arneson is not the same person as Anderson, despite the similarity in their names!) Still, we must be careful about this. Just as the decision to become a prostitute may in many cases not be an autonomous one, so too we might well wonder in some cases whether the decision to become a surrogate is an autonomous one. Recall that to say that someone is autonomous is to say, roughly, that, in making a decision whether to do something, he or she (a) makes the decision on the basis of an adequate understanding of its probable consequences, (b) intends that these consequences occur, and (c) is free from undue constraints (such as being pressured into making the decision against his or her will). Now consider a famous court case, the case of “Baby M.” In 1985 in the state of New Jersey, Mary Beth Whitehead contracted with William and Elizabeth Stern to be artificially inseminated with William’s sperm, carry the resulting child to term, and then hand over the child to the Sterns in return for $10,000. Mary Beth already had two children who lived with her and her husband. Having already twice given birth, she thought she knew precisely what she was letting herself in for. The pregnancy and birth went normally. Yet, when it came time to hand Baby M over to the Sterns, Mary Beth quite unexpectedly became emotionally distraught. She begged the Sterns to let her spend some time with the newborn child. They did so, and Mary Beth promptly fled the state with the rest of her family. It wasn’t until the following year that the Sterns were able to take custody of the child. This case raises the question: if a seasoned parent like Mary Beth didn’t have an adequate understanding of the probable consequences of contracting to become a surrogate, then who would? Condition (a) of autonomy may thus not be so easy to satisfy in this context. Moreover, although $10,000 sounds like a lot of money even now, let alone in 1985, think of what Mary Beth had to do to earn it. Is this the sort of thing that you would readily do for such a payment? Here condition (c) of autonomy comes into question, for it might be argued that only someone who is pretty poorly off would agree to become a surrogate for $10,000; poverty renders someone vulnerable to exploitation, and the opportunity to become a surrogate would take advantage of this vulnerability and put undue pressure on someone to avail herself of such an opportunity. I don’t think it’s easy to know just what to say about these concerns. It seems an exaggeration to say that no decision to become a surrogate mother in return for payment can be autonomous, but I suspect it may well be unclear in any particular case whether such a decision is autonomous. At any rate, let’s now put this matter aside and consider another point, and that is that there is an important disanalogy between commercial surrogacy and prostitution. In the case of prostitution there are two parties involved (the prostitute and the client), each of whom, we may hope, has made an autonomous decision to engage in the transaction. But in the case of surrogacy there is a third party involved (the child) who certainly made no such decision. Thus, if the child is mistreated by such a transaction, as Anderson alleges in her first argument, then it would seem that there is indeed good reason for the state to interfere. Thus the success of Arg. 4 would appear to depend, in large part at least, on the success of Arg. 1. There is reason to question premise (1) of Arg. 3. Must commercial surrogacy be demeaning, degrading to the surrogate? Arneson thinks not, pointing out that few people have such concerns about non-commercial surrogacy. (See p. 526, both columns.) This is interesting, because cases of non-commercial surrogacy (as when, say, a woman bears a child for her infertile sister), far from appearing morally objectionable, typically strike us as being morally uplifting. Nonetheless, we should keep in mind that these two forms of surrogacy are indeed different, and that this difference might make a difference, morally. Remember the concern about self-respect that I raised when discussing prostitution? It seems that this concern has special bite precisely because of the commercial nature of that kind of transaction. It is the sale of sexual services that seems especially troublesome (although of course concerns might also be raised about the donation of such services!). So, too, it might be that it is precisely the commercial aspect of commercial surrogacy that is especially morally problematic in terms of self-respect. Arg. 2 may seem somewhat overblown. Of course, it must be conceded that commercial surrogacy might generate insecurity in children who are either directly or indirectly affected by it, but the fact is that childhood can be pretty precarious anyway, for a wide variety of reasons. Divorce, for example, can create many problems for children, and these problems should surely not be taken lightly, but is that sufficient reason to declare divorce to be seriously prima facie morally wrong? I find this the most intriguing and powerful of Anderson’s arguments, for we certainly do roundly condemn baby-selling, and it’s not obvious whether there’s a morally relevant difference to be found between it and commercial surrogacy. Thus whether Arg. 1 succeeds would seem to depend entirely on its second premise. What should we say here? Does commercial surrogate mothering involve selling a child, or does it not? Arg. 5: (1) Commercial surrogate mothering is morally just like commercial adoption. (2) There is nothing seriously prima facie morally wrong with commercial adoption. ∴ (3) There is nothing seriously prima facie morally wrong with commercial surrogate mothering. This is interesting. Anderson compares commercial surrogacy with baby-selling and, given the unacceptability of the latter, condemns commercial surrogacy on that basis. Arneson responds by comparing commercial surrogacy with commercial adoption and, given the acceptability of the latter, condones commercial surrogacy on that basis. I assume that, just as we are and ought to be strongly opposed to baby-selling, so, too, we are not and ought not to be strongly opposed to commercial adoption. (Of course, each of these positions could be contested, but let us grant them here.) So what should we do? Agree with Anderson, or Arneson, or neither? I think there is reason to disagree with Arneson. There seems to me to be to be an important difference between the arrangements typical of commercial surrogacy and those of commercial adoption. True, in both cases the couple who acquire the child pay for the privilege of doing so, but in the case of adoption they don’t pay the biological mother but rather pay the agency that facilitates the transfer of the child from the mother to the adoptive parents. In the case of surrogacy, however, the biological mother does receive payment for handing over the child. (See what Anderson says on p. 520, left column about “dispos[ing] of one’s children for profit.”) Does this difference between the cases make a difference, morally? I’m inclined to think that it does. But I am also inclined to disagree with Anderson. Initially, commercial surrogacy doesn’t appear (to me, at least) nearly so reprehensible as baby-selling. But why not, especially in light of the fact that the biological mother does get paid for handing over the child to the couple? Frankly, I don’t know how best to answer this very good question. How about you? I have just said that commercial surrogacy involves payment to the biological mother for handing over the child to the couple, but that is of course true only of what at the outset I called “traditional” cases of commercial surrogacy in which the surrogate plays both a germinal and a gestational role. But now, as a final wrinkle, consider those increasingly common cases in which the surrogate plays only a gestational role, the egg having been provided by the wife to whom, along with her husband, the child is delivered after birth. Who is the “biological” mother of the child in such a case? The surrogate, or the wife? There is surely good reason to say: the wife. But then payment to the surrogate for her services does not constitute payment to the biological mother for handing over the child, since in this case the biological mother is the one who receives the child. In such a case the charge of baby-selling certainly seems mistaken. Could the moral acceptability of commercial surrogacy turn simply on whose egg was fertilized? This, too, strikes me as a very good question, one whose answer eludes me. Again, how about you?